* By Direct Physical Correlate I mean the physical process corresponding exactly (or directly) with the phenomenon of the Divine Light or Inner Light of Pure Consciousness which is experienced as being like an electrical energy field which is constantly pulsating or flowing in the form of waves. Any physical process whose activity varies predictably in relation to a subjective phenomenon can be called a physical correlate of the phenomenon. Thus the neuronal impulses and neurotransmitters of the Reticular Activating System (which underlie the higher-level brainwave phenomenon) would thus be Indirect Physical Correlates of the Inner Light of Pure Consciousness. (a.k.a. : Atman, cit or Pure Consciousness, Buddha Nature, al haqq, Godhead, Inner Light of Conscience, Sofia or Cosmic Light of Wisdom, Holy Spirit, The Archetypal Light, Inner Light of Christ, The Philosopher’s Gold, saksin or the Witness Consciousness, The Stream of Consciousness, the Absolute or Temporal Consciousness, The Holy Grail, The Fount of All Wisdom, The Fount of Youth, Prana or Life Energy, The Elixir of Life, The Water of Life, The Divine Spark, the Imago Dei, the Inner Man, the Clear Light of Death, The Hidden Observer, The Twin of Mani etc.) was identified by myself with a well-established brain process, the brainwaves of the brainstem Reticular Activating System (RAS) back in 1994. The RAS is known to all medical doctors (see below). This correlation is supported by overwhelming evidence primarily from authoritative Hindu and Buddhist yogic phenomenological knowledge. The fact that Western academia does not recognize non-European knowledge, even when based on facts of experience which have been verified repeatedly (i.e. the same intersubjective consensus approach as utilized by Science which most scientists mistake for 'objectivity') over thousands of years says more about the bigotry of the West than the validity of this phenomenological knowledge. [The information below is Copyright © 2014 Sutapas Bhattacharya]. Much of this evidence was first presented in my The Oneness/Otherness Mystery: The Synthesis of Science and Mysticism (O/OM) published in 1999 by the world's most authoritative scholarly publisher of Hindu and Buddhist philosophy, Motilal Banarsidass, Delhi - who co-publish The Encyclopedia of Indian Philosophies with Princeton University Press. [O/OM can be previewed on Google Books]. My O/OM excited the heads of the Scientific and Medical Network and other distinguished professors well-versed in the Science-Spirituality interface (see quotations on Testimonials page). However, although my work excites open-minded people who are scientifically-literate, it seems to scare the Sanskrit-obsessed linguists who dominate so-called academic studies of Indian Philosophy. Clearly, their careers, based on simply churning out yet more new translations of ancient texts and unsubstantiated speculative interpretations based on etymological reasoning are threatened by my scientifically-grounded explanations backed up by masses of authoritative evidence. M.K. Kaw, Indian Union Minister of Education in the year 2000, was excited by my book as he himself had called publicly for a scientific understanding of spirituality in a little book he had published. However, due to the fact that the book was published in India, and not available in mainstream Western bookshops and, because it undermines various New Age mythologies, it did not get much publicity. This was partly because it was suppressed by the main US New Age organization so as not to upset Ken Wilber. Wilber's hyped-up pop philosophy ideas (denying the possibility of Science-Mysticism integration) were undermined by my own work. He had just received large donations from millionaire Joe Firmage (the so-called ‘UFO-CEO’ who had been removed from the company he had created, USWeb, due to his public endorsement of outlandish ideas such as (extraterrestrial) aliens performing the 'miracles' in the Bible). Along with identifying the physical correlate of the Divine Light, I went on to show how the entire Physicalist-Materialist ontological picture of modern science can be integrated into the bigger, deeper Transcendentalist core picture of Indian yogic mysticism - this is that the phenomenal universe manifests through the energetic vibrations arising within the macrocosmic Light of Pure Consciousness, the Ground of all Being. Anomalous phenomena such as paranormal psychic phenomena, Creativity and Insight, Past-Life memories and the paradoxes relating to Quantum Mechanics including the Pauli Exclusion Principle (underlying the stability of matter), nonlocality and questions such as how the Laws (and Constants) of Nature actually come into being can be accommodated within this bigger, deeper Transcendentalist picture based on the Primacy of Consciousness. In my new book I show that this is the only tenable Ontology by deconstructing and demolishing alternative views based on mere speculation, false assumptions and anthropocentric myths. I have the Authority of the Evidence supported by scholarly-level critical analysis to demonstrate clearly the false status of competing viewpoints and establish the ontological and scientific validity of my own – which is a refined and factually based elaboration of the Perennial Philosophy. Due to the vast amount of information collated in my research and limitations of time and space, this new book (over 600pp long) does not deal with the analysis of paranormal phenomena. What is the Reticular Activating System (RAS)? Evidence confirming Divine Light/RAS-brainwave correlation. 1. 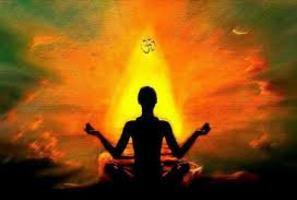 All 3 major Hindu philosophical traditions, Vedanta, Kashmir Saivism and Sankhya (Yoga Sutras) describe the Pure Consciousness as shining like a Light in split-second temporal gaps in the flow of experiences. Buddhist parallels to this Hindu knowledge also exist. 2. The Dalai Lama says that the highest Tibetan Buddhist Vajrayana knowledge asserts that the Clear Light is constituted by a continuous series of (mind) Moments whereas states such as Waking and Dreaming start and stop. 3. The Dalai Lama asserts that he likes Travis’ Junction Point model (Based on EEG studies) of the Pure Consciousness as being a background state of the Cerebral Cortex as this ties in with Buddhist knowledge of the nature of the Clear Light. Travis' vague “background state” is undefined but the brainwaves of the Reticular Activating System constitute the background state of the entire brain including the Cortex. Expert on Buddhism Herbert Guenther says that Sunyata is the Background Field of Perception. 4. Daniel Brown showed that 3 major yogic traditions, Mahamudra, Vipassana and the Yoga Sutras, all describe the Underlying Flow of the Light, revealed after yogic “stopping the mind”. The Yoga Sutra tradition asserts that this Light flow is the background matrix of gross cognitions/perception (tanmatra) and that it is a vibrating energy field in a state of continuous wave propagation. 5. In The Innate Capacity edited by Robert Forman, the authors show that nearly all the great philosophical mystics from all cultures assert that Enlightenment involves uncovering something that is always present in everyone; i.e. there is no Evolution of Consciousness. In his The Shape of Ancient Thought, Thomas McEvilley emphasizes Plato's 'destroying the hypotheses' passage in Republic which English translators have completely distorted or even, in some cases, omitted as it contradicts the Western misrepresentation of Plato as a non-mystic. The 'Wisdom Eye' is opened when the mind is cleansed progressively of sensory knowledge and the higher knowledge (hypotheses) of mathematics and astronomy. Opening of the Wisdom Eye involves The Light, which has been there all along, now shining through as if opening a shuttered window. This enlightened wisdom (or gnosis) is the Third Mode of Knowledge revealing the Metaphysical Reality beyond sensory phenomena and mental constructs which Kant claimed (on speculative grounds) was impossible (see Point 16). Thus the Light is always present in everyone but clouded over by mentation and needs uncovering. 6. Patanjali's Yoga Sutras begin: Yogas Cittavritti Nirodhah meaning Yoga is the cessation of the waves (Sanskrit vritti) of the mindstuff. 7. The Vedantic Prana/Atman identity, first clearly stated in the Kausitaki Upanisad, asserts that in death and in dreamless sleep, the normal consciousness dissolves into the so-called Prana. This 'Life Energy' is in fact the Atman. It is called 'Life Energy' (Prana) because, if it ceases to flow, death ensues (N.B. RAS cessation = braindeath). Edmund Husserl also refers to the underlying, ultimately constituting Flow of the Absolute Consciousness (a.k.a. Time Consciousness or Temporal Consciousness) as the Life Stream as the Ego Life is maintained by this Flow. There are Early Buddhist parallels regarding the Life Principle and the Brightly Shining Citta (Bhavanga) and in the work of 20th Century US mathematician and enlightened mystic Franklin Merrell-Wolff who equated the flow of Pure Consciousness with 'Life'. There are also parallels with the Zoe (Life) and Phos (Light) of Hermetica and the Christian Holy Spirit as the Life-Giver. The Gospel of John refers to the Light of Life​ . This identity leads to the notion of the 'Living God' in Christian spiritual parlance. The Biblical Psalms include a passage referring to the Fountain of Life as [in one English translation] "the Light by which we see". 8. In Husserl's phenomenology (a modern form of Mindfulness meditation) the mysterious underlying and ultimate level of cognitive constitution is the Flow of the Absolute- or Temporal-Consciousness, its moments constituting the Now moments in the temporal flow of our experiences [rather like frames in a cinematic reel of film]. Husserl’s collaborator Eugen Fink (as with Sartre and Gurwitsch) challenged Husserl's ego-centred focus and argued for nonegoic consciousness at the deeper levels like the Pure Consciousness. This Flow of the Temporal Consciousness is the same as William James' Stream of ‘Thought’ [or Consciousness] in which the mind moments flow into one another. Both James and Husserl discuss the paradoxical continuity/discontinuity of the Moments as in Hindu/Buddhist disputes. [Husserl’s colleague Eugen Fink also began to realise that this Flow also constitutes the Space horizon (or ‘world concept’) of perception – Yogis have long known that the flow of the Inner Light constitutes the Time/Space Matrix of perception]. In her book Psyche and Matter von Franz states that, throughout world mythology, the Time Stream has always been linked to a culture’s highest God Image or the Image of the Self. She adds that Spatialization seems to be a concept derived from the experience of Time and not vice versa. 9. The Vedantic concept of Adhyasa (Mutual Superimposition) asserts that the Pure (objectless) Consciousness becomes superimposed by sensory percepts (and other cognitive content) in the constitution of normal modified consciousness (i.e. consciousness with normal subject-object duality). The objective content is superimposed onto the objectless Pure Consciousness (the True Subject). Mutual Superimposition is a property of Waves (as found in the superimposition of potential states in the Quantum Wave Function). See Point 1 on Historical Firsts page on how the Medical distinction between Conscious Arousal due to the RAS and Contents of Consciousness helps undermine Western academia's dogmatic denial of the possibility of Pure (objectless) Consciousness based on Catholic Brentano's illogical, scholastic notion of 'Intentionality' [which in fact referred to only a class of conscious phenomena associated with object-perception]. The Arousal/Content duality in Medicine supports the Vedantic position. 10. Indian Buddhism says that Nirvana is only slightly different from Death - this fits perfectly my RAS correlation and Retreat-to-the-Brainstem interpretation of Enlightenment as the RAS is the last remaining gross brain activity before death. 11. The Light Near Death as in NDEs also fits as in 10. Enlightenment has been associated with Dying since time immemorial. As Rumi stated, Mysticism is practice in the Art of Dying. 12. The Light at the Centre descriptions or the Innermost Sanctum, the ‘Sun’ at the centre or Meditation as a Return to the Centre - the brainstem is at the “centre” of the brain [it is the 'innermost core' structure] and the energy waves flow outwards in the Stream of Consciousness. This upward and outward flow has led to the notion of the upwelling Godhead (wellspring or fountainhead of Divinity) and numerous myths involving this central Fountain or myths related to the flowing spirit such as the mercurial deity Hermes or that of the Holy Grail. 13. The Light as the Ever-present Ground; the RAS is the ever-present background to all mental phenomena. (This ties in with point 3 above and the comments from the likes of Buddha and Edmund Husserl that the underlying River or Stream of Consciousness never ceases flowing). The RAS is active even during Dreamless Sleep; confirming the claim that the Pure Consciousness is present in Deep Sleep made in the Upanishads. 14. The fact that the RAS brainwavesconstitute an universal human process, common to all humans, undermines the mainstream Comparative Religion dogma of Constructivism which claims there can be no common core mysticism based on deeper mystical experience of the Light [beyond the diverse, superficial imagery based on cultural conditioning] as there is no unconditioned mental process. The RAS arousal activity is not tainted by memory or cultural conditioning (Medicine distinguishes Arousal due to RAS from the Content of Consciousness) and so it is a common underlying, universal process. It is the same in everyone. It has no individuality (i.e. it is impersonal as is the Vedantic Pure Consciousness). 15. Orme-Johnstone and others, using EEG, claimed to find a unique state of Coherent Alpha Rhythm all over the scalp of allegedly Enlightened yogis. Indeed, the TM movement made grossly unscientific claims about such EEG coherence, falsely interpreting EEG Coherence as global integration of brain activities. However, as the likes of Susan Blackmore and others pointed out, Coherent alpha rhythm is also found in coma and near-to-death. This is not surprising for as I stated, Indian Buddhism considers Nirvana to be only slightly different from Death and Enlightenment has long been associated with Death although most New Agers want to believe the myths of the Evolution of Consciousnessassociated with the likes of Richard Bucke, Gopi Krishna, Aurobindo Ghose, Ken Wilber, Ervin Laszlo etc. which assert that enlightenment involves some sort of brain evolution (see Point 5- nearly all philosophical mystics say the Light is present in everyone at all times). Gopi Krishna even put forward ridiculous notions of sperm rising up the spine to nourish the brain cells, yet his ideas have been taken seriously by many New Agers. Note that real biological evolution, unlike New Age pseudoscience, occurs across generations in breeding populations through heritable variation. Evolution does not occur in individuals and an enlightened person does not produce enlightened offspring! In fact the Coherent Alpha Rhythm all over the scalp data fits perfectly my RAS correlation and Retreat-to-the-Brainstem interpretation of Enlightenment as Near-to-Death and in Enlightened states near Mystical Union, the entire brain will be deactivated leaving only the underlying activity of the RAS. Thus as the scalp electrodes will measure brainwaves coming from this sole underlying source, the readings will be Coherent (meaning only that they are at the same Frequency; no TM myths of global brain integration!). The TM myth of Enlightenment as global integration of brain centres also contradicts the traditional, perennial knowledge that the Divine Wisdom or Prajna (Luminous Wisdom) is inherent nondually or non-objectively in the very Light of Consciousness itself. 16. My ‘Retreat to the brainstem’ interpretation of Enlightenment ties in with Eugen Fink’s Neoplatonically inspired concept of deeper phenomenological ‘reduction’ (than Husserl’s limitation to Wakeful object perception) as a process of “Unhumanization” as the individuated consciousness of the yogi leaves behind the uniquely human structures of the neocortex in the path to enlightenment. In conjunction with knowledge of the Time/Space Matrix of Perception created by the underlying flow of the Light, this also allows us to understand yogic realization of Transcendental Realms, beyond the limitations of Wakeful Space-Time-Causality, which tie in with the Nonlocality and Nonseparability of Quantum Mechanics. Such experiences of underlying holonomy whereby everything is dependent on everything else and of the Akasha (Space as subtle matter characterized by Vibration) tie in with the true mystical meaning of philosophia as “Love of Divine Wisdom” (Gnosis) or ‘omniscient’ realizations. Such 'omniscience' reflects the fact that the holonomic interpenetration of all phenomena leads to information from all phenomenal manifestations in the universe being omnipresent in every location. Such knowledge undermines the dogmatic views of Immanuel Kant, Existentialists (based on Heidegger’s views), Constructivists in Comparative Religion & Mysticism as well as most of Western Philosophy which imagines that it is impossible to transcend sensory phenomena. In fact, I also show how it is possible to understand scientifically the claim to apprehend Ultimate (unmediated) Reality as it actually is.